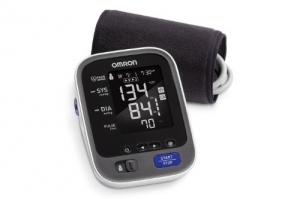 Amazon Omron 10 Series Upper Arm Blood Pressure Monitor with Cuff 系列上臂血壓計 $56.5. 在價格的下方有個 $10.00 Off coupon, 鈎選coupon, 結帳時會自動減 $10.00, 最後變成 $46.5, 免運費! !